Aristocrat Leisure Ltd, an Australian maker of electronic gaming machines, is among the casino equipment suppliers likely to gain from the continued popularity of Australia as a holiday destination for Chinese and other Asian tourists. So said a Wednesday report from JP Morgan Securities Australia Ltd.
“Chinese tourism growth will continue to be a tailwind for casinos,” in Australia, wrote analysts Donald Carducci and Abhinay Jeggannagari. “In February 2018, China overtook New Zealand to become Australia’s largest inbound visitor market for the first time for short term visitor arrivals (1.39 million, up 13.2 percent on the previous corresponding period,” said the report, citing data from the Australian Bureau of Statistics. Despite recent gloom in some consumer segments that the United States-China trade war and China’s moderating economic growth might have a negative effect on Chinese consumer demand, the percentage of Chinese among total annual foreign-visitor arrivals to Australia has been increasing steadily. It was somewhere north of 5 percent as recorded in 2006-07, and is estimated to contribute more than 20 percent of arrivals to the market by 2023-24, according to data from Tourism Research Australia and JP Morgan. The Aristocrat brand already has a strong share of the slot machines shipped to some Asian markets including Macau, according to several investment brokerages. The firm is also on target to increase its share of the North American market for gaming machines, said JP Morgan. The brokerage said shares in Aristocrat Leisure were its favourite among stocks of companies in the sector. 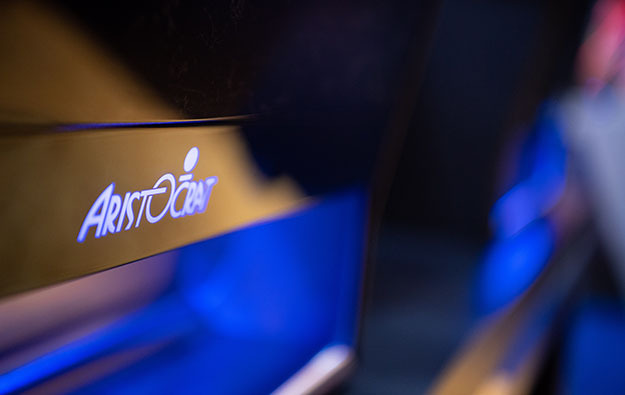 Aristocrat Leisure “continues to close the gap with International Game Technology Plc and Scientific Games Corp and remains the market leader and most popular manufacturer in Australia”, noted JP Morgan. “The company remains the land-based leader in America, although Australian and New Zealand slot expenditure will remain weak,” in real terms and in relation to the North American opportunity, wrote JP Morgan’s analysts. The institution said the Australian market was the source of approximately 12.5 percent of Aristocrat Leisure revenue in financial year 2018 and about 12.9 percent of earnings in the last financial year, while the North American market was the source of 44.7 percent of revenue and 53.4 percent of earnings. The report said Aristocrat Leisure is set to increase its share of the North American market, specifically in California. “The land-based business will continue to gain share. Land-based titles will continue to outperform competitors for about 12 to 18 months,” the note says, making the distinction between online gaming and physical casinos. But it is the sales of digital games played online that the stockbroker expects will be the main driver of the stock price. “Aristocrat Leisure reported strong double-digit earnings growth at the group level, with [the] Americas and digital [products] experiencing double-digit growth.